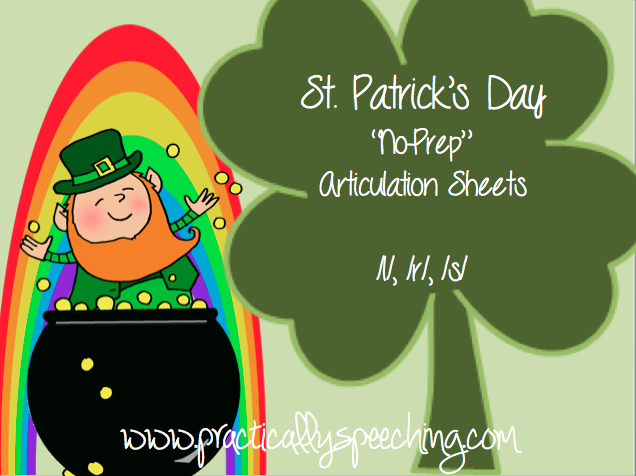 St. Patrick's Day No-Prep Articulation Packet! DOLLAR BARGAIN ALERT! I am really loving a theme this winter, and my articulation sessions are feeling that! 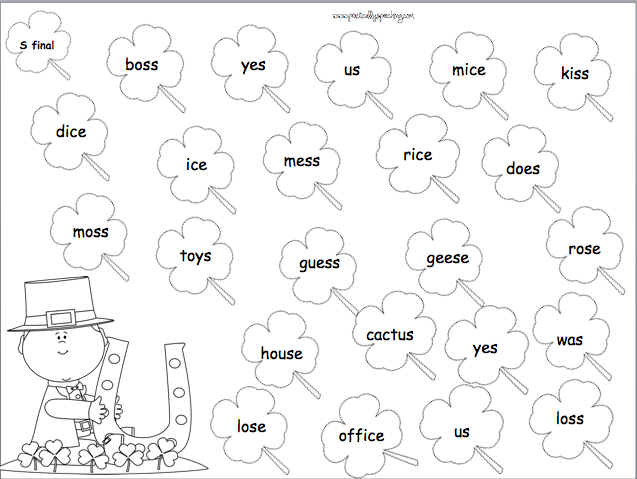 I love using these print-n-go worksheets in sessions, and then sending them home for homework. I simply slip them into an erasable pocket, and have students color as they say the targets. Then, I take out the sheet and use it as carryover! 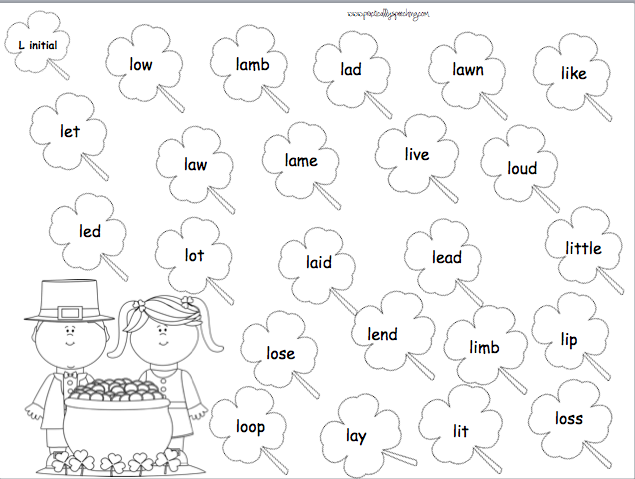 Make sure you download this fun packet to target /l/, /r/, and /s/ in all positions of words! 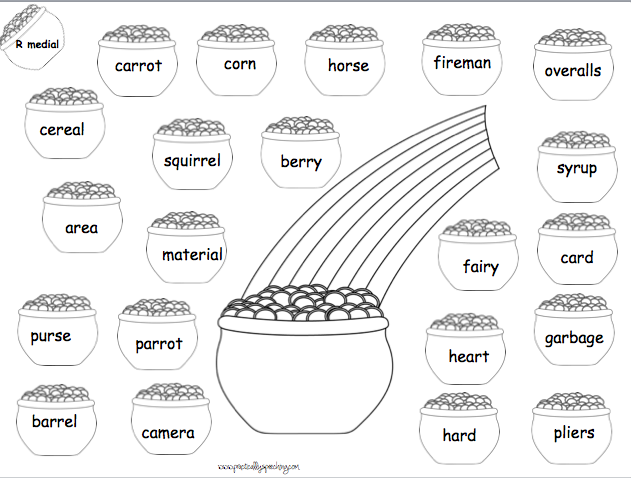 Download this packet HERE on TpT for a dollar for the month of March!